New Event: Share your tips! 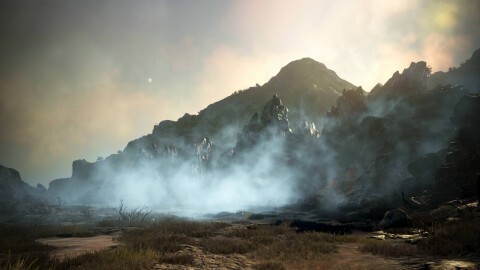 - Share your tips with others in the official BDO website and win different rewards! - You can receive the rewards if you are in an medium or larger guild. 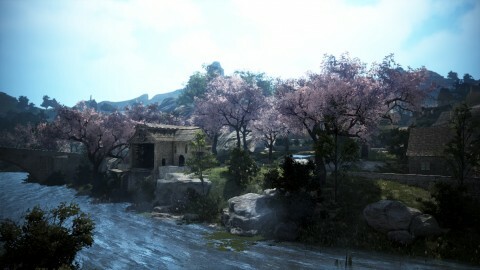 - Play BDO in a PC Cafe to receive special rewards. - The rewards for guild missions will be doubled. 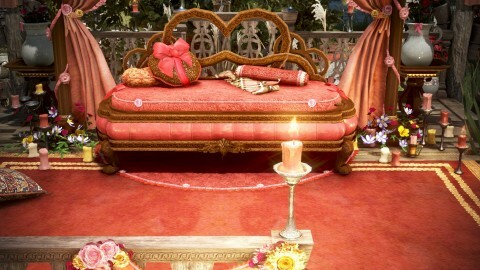 - You can exchange 6 Faint Old Moon Accessories of the same kind with one Remains of Old Moon Accessory. You can exchange Remains of Old Moon Accessory with a DUO yellow accessory. 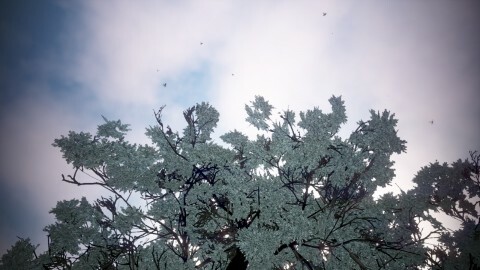 - For example, you can exchange six Faint Old Moon Earrings with a DUO: Narc’s Earring. - This only applies to Earring, Belt, and Necklace. - The NPC that will exchange Remains of Old Moon Accessory with a DUO yellow accessory will appear after next week’s maintenance. 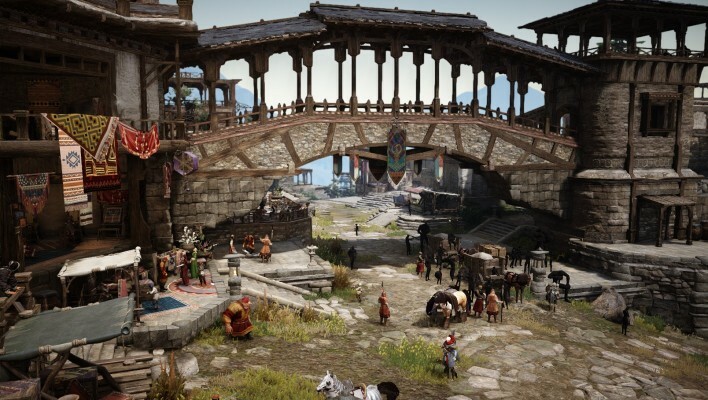 - If you sell Faint Old Moon Accessories to NPC vendors or cancel the quest after turning in Old Moon Secret Letter, you will lose the accessories forever. Damage Reduction effect has now been decreased by 5% during PVP. Fixed the graphical abnormality in the shadow of the characters distant away. Fixed the graphical awkwardness in the hair part when equipping Snowflake Hat for Wizard, Warrior, and Striker. Fixed the issue where the characters’ hair would seem to disappear at a certain angle when having [Event] Sweet Cone Hat on. Fixed the issue where the skill Flow: Crossing Wind I could be used even when the skill had not been learned. Fixed the issue where Knockback effect of the additional hit would not be applied for the skill Counter Assassination in PvE. Fixed the graphical awkwardness in parts of the hair of the character upon equipping Lahr Arcien Helmet (R). Fixed the graphical issue where the ground would be flickering when using the skills Voltaic Pulse or Thunder Storm. Fixed the graphical awkwardness in the shoulders of the Witch while having Winter Snowflake outfit equipped and leaning on a wall. Added the keyboard command for Spiral Cannon in the skill tooltip. - Shift + LMB after Knee Hammer in Gauntlet mode. Fixed the graphical awkwardness in the chest area of the character when equipping Sanguine Petal armor and Priyah Bikini together. Items cannot be moved inside Inventory while Enhancement is under progress. Black Stones and crystals cannot be extracted from locked items. - Use the item at the designated location to summon the Defender of the Ancient Holy Ground. - The summoned monster will disappear after 10 minutes. You can now use Ancient Ruins Key to see the route guidance to the summon location. Fixed the wrong display of the names of some items that have expiration date. Fixed the issue where you could not search Dragon Slayer weapon by enhancement level. Lafi Bedmountain's Upgraded Compass’s cooldown will be reduced even after disconnecting from client. Fixed the issue where Balenos was not written on the item tooltip of Caphras Stone and Ancient Spirit Powder as one of the obtainable location. Fixed the typo in the item tooltip of Marine Life Specimen Collecting Tool. Fixed the issue where Clorince’s Travel Bag could not be used. Guaranteed Enhancement has been added. - Use the special Black Stones made by Gorgath to enhance Main weapon, Sub weapon, Awakening weapon, Helmet, Armor, Gloves, and Shoes from +13 to +15 with 100% success rate. 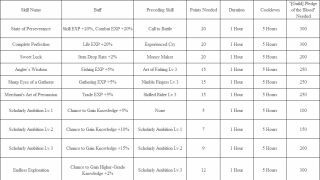 - You cannot enhance Magical Manos gear and other Life skill gear with the Guaranteed Enhancement system. - If a gear is reformed, you will need to use the same type of Magic Black Stone that you would need for the non-reformed version of the gear. 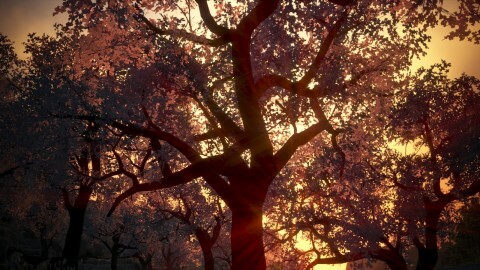 - Guaranteed Enhancement will consume 30 Durability. - The Black Stones for Guaranteed Enhancement are obtainable from defeating world bosses, and cannot be registered in the marketplace. In order to fix the difficulty in boarding your ship when multiple ships are crowded together, it has been changed so that clicking on the Ship icon on the top-left corner would teleport you instantly to the steering wheel of your ship. - Click on the Ship icon while on standby or swimming to move to the steering wheel of your ship. - This applies only to Epheria Sailboat, Epheria Frigate, and Old Bartali Sailboat that you own. Characters in jail cannot escape with the Tag system anymore. 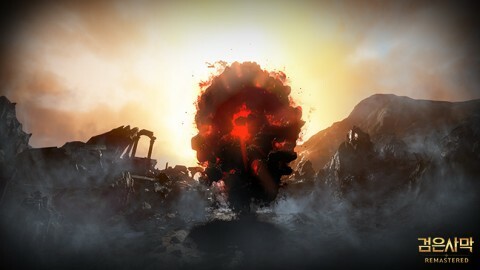 New challenges, “Gorgath's Gift” have been added under Challenges (Y). - You can obtain Stabilized Magic Black Stone by reaching certain levels. - Available once per family. Fixed the issue where items placed in Residence could not be used after being disqualified from Horse Race. New Titles have been added. 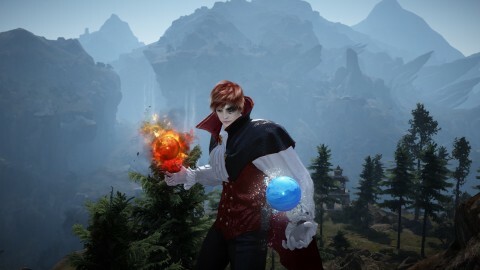 - You can obtain the Crafter title when you craft Dark Knight/Striker/Mystic Calpheon Noble Dress/Suit for the first time. 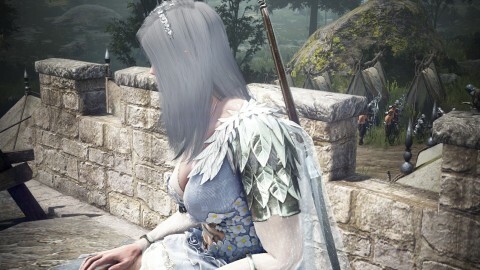 - You can obtain the Expert title when you craft Dark Knight/Striker/Mystic Calpheon Noble Dress/Suit 11 times. 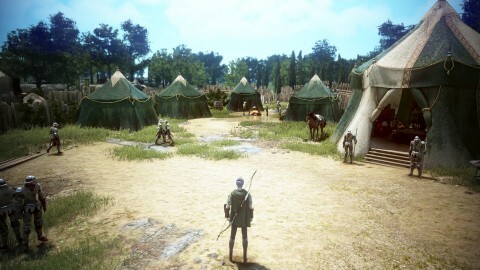 World Bosses will spawn in the Black Desert Online teenage server. The loot from hunting Blue Whale and Khalk has been changed. 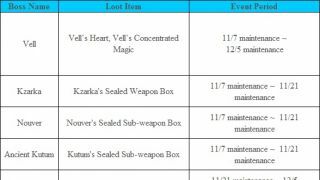 - The drop rate of the following loot items has been changed. 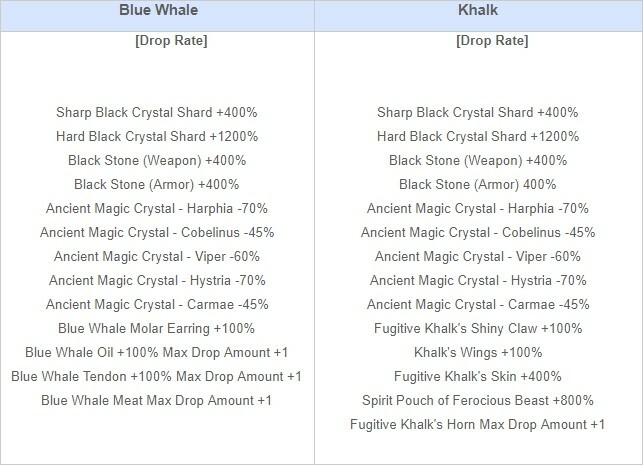 - The following items have been removed from the loot for hunting Blue Whale and Khalk. 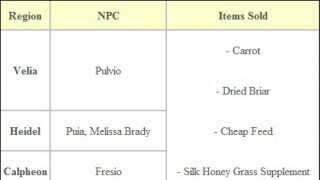 The rewards from the treasure box summoned by [Guild] Recovered Afuaru Map have changed from Energy Potion (Jumbo) to [Event] High-Quality Food Box. Steel Imp Raid Squad in Western Guard Camp has been removed. 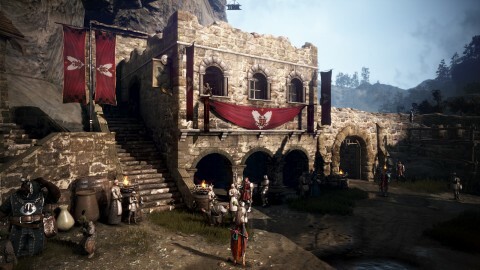 HP and DP of some monsters in Sycraia Underwater Ruins top floor have increased by 30%, and the combat/skill exp from the monsters has increased by 20%. Item drop amounts and rate of some monsters in Sycraia Underwater Ruins have changed. Fixed the issue where World Boss Karanda would look transparent intermittently if you restarted client through Character Selection window. Defender of the Ancient Holy Ground summoned by using Ancient Ruins Key will disappear after 10 minutes. Shadow Knights located near The Watchtower have increased in number. Gray Wolves located near Western Guard Camp have increased in number. Some goblins that appear near Cron Castle Site have been relocated. The title Al Rhundi Champion will be obtainable upon completing the main quest that you have to defeat Al Rhundi. Fixed the issue where Terrmian Waterpark’s special quest [Event] Meals Are Not To Be Skipped did not disappear and could still be accepted. New daily quests for Protty Cavern have been added. 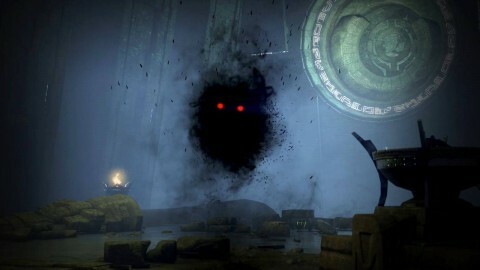 - The quests are available after completing [Boss] Witch Hunting. - If you complete the quest during the event period (Aug 9th to Aug 23rd), you will get additional 3 Caphras Stones. 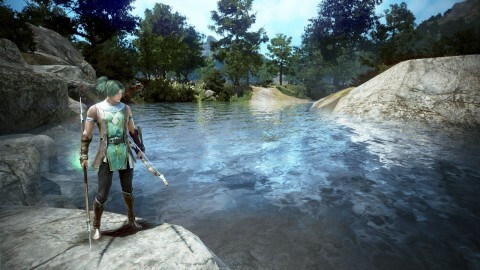 New daily quests for Sycraia Underwater Ruins have been added. 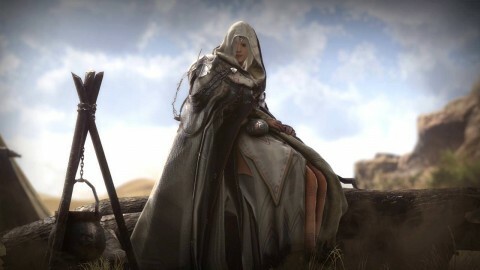 - The quests are available after completing [Boss] Witch Hunting and when your character is level 60 or over. 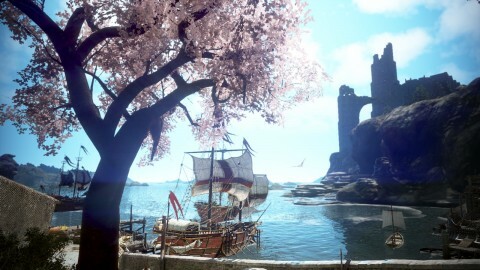 New quests to get new Kamasylvia Entrance Adventure Journal knowledge have been added. 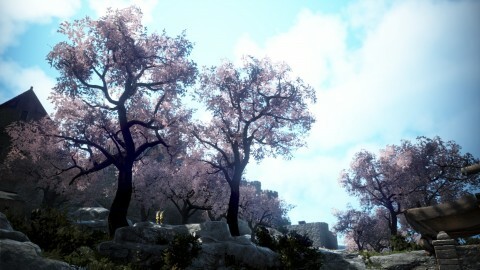 - You can accept the quests from NPC Anbelif in Wisdom Tree after completing the Kamasylvia Part I main quests. Fixed the issue where the quest A Ship in Distress in the Peyon Sea was unavailable. Fixed the issue where the quest Sherekhan’s Test could not be completed. Fixed the issue where the quest Baman’s Advice could not be re-accepted after canceling the quest. Fixed the wrong quest precondition of the quest [Repeat] Cute and Delicious in the Quest window. Difficulty of the quest [Solo] Narc Magic Sealing Stone has been lowered. - DP of the Narc Brishka that spawns in the quest has been decreased by 60%. - EXP obtainable for completing the quest has been decreased by 50%. Typos in some quests and knowledge descriptions have been fixed. 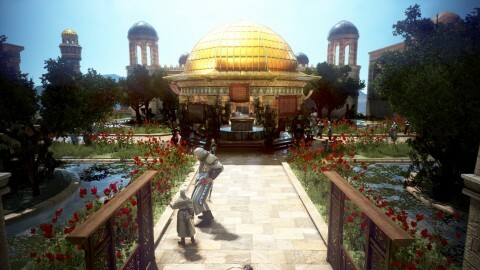 Grinding and moving in Sycraia Underwater Ruins will be easier. NPC Gormin has been added in Sycraia Abyssal Ruins. - You can sell and repair items by talking to the NPC. 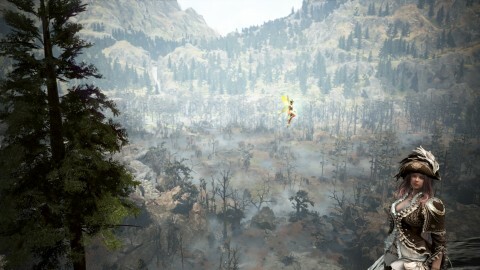 6 Airships that travel throughout the world of Black Desert have been added. - The Airships are having a trial run at the moment, You cannot board on the Airships yet. Fixed the issue where characters would get stuck between objects after switching channel or switching to other character at the Griffon station. Fixed the awkward underwater graphics. Fixed the issue where the costumes with wings or feathers looked too bright. Fixed the issue where there were no fishes in certain areas. Auto-pathing in Western Guard Camp and Altar of Igris has been improved. Fixed the issue where the objects on a table looked like they are under the table. Fixed the issue where characters could penetrate some rocks in Protty Cavern. Typos in some NPC lines have been fixed. Guard NPC under battle with Steel Imps has been added to Western Guard Camp. 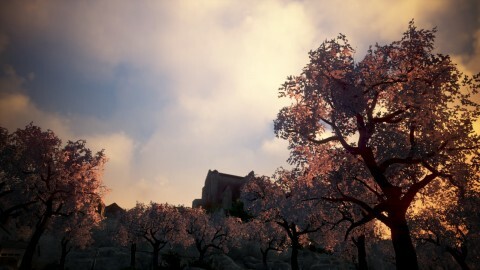 The camera perspective of Edan located in Valencia Castle has been changed. The name “Aaron’s Adventure Journal” has changed to “Aaron’s Research Journal." The setting window that appears when constructing Forts for Node Wars has been increased in size. Fixed the issue where some icons overlapped when registering Fairies. Conquest Score and Conquest Status window have been newly revamped. World boss alarm window will disappear 30 minutes after a world boss spawns. 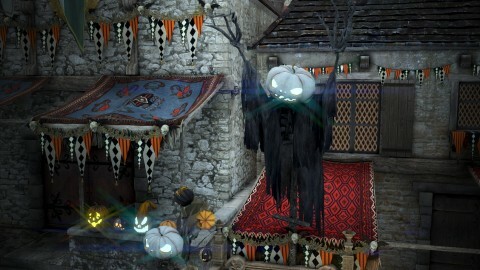 Krogdalo’s Cry icon will not be displayed. - You can check if mount exp boost is on by hovering over to the exp boost icon at the top of the screen. The icon for the Wharf and Guild Wharf button will look like a ship. New sentence has been added in the description that appears when you hover over to the gathering level in the My Profile(P) window. The chance that you will not consume Energy as your Gathering level goes up. 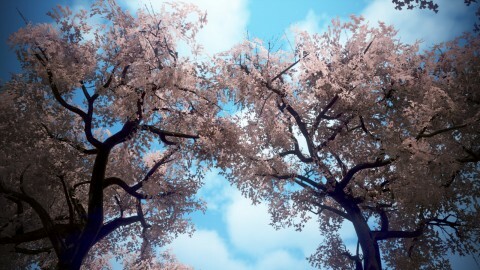 Fixed the issue where window size of Beauty Album and Crafting Notes could not be changed when changing resolution. The text that appears at the Stable when selling your horse that has items in its inventory to the Imperial Horse Delivery has been changed. Fixed the issue where a wrong system message would be displayed upon retrieving a table with a prop placed on top of it in Placement Mode in your residence. When you turn off the game, the system message “You have been disconnected from the server” will not appear and the game client will close right away. Will you stop crying ? Empty patch :)) yeah sure ... Lets see what mmorpg does weekly maintenances and adding stuff to the game week by week . 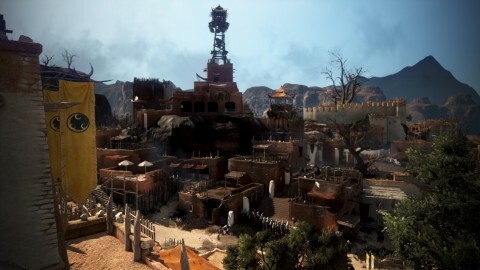 Oh so its not mentioned in patch notes but should be worth mentioning, if you become an outlaw in the desert on Arsha channel you won't go to jail if you die. Nerf Sea Monster Hunting! Crazy money per hour which is breaking EU/NA economy!